CHICAGO (WLS) -- With so many iconic buildings and locations - from the gleaming metallic Bean, to the Navy Pier Ferris wheel, to the soaring Hancock and Willis towers - we probably could have guessed somewhere in Chicago would be the most Instagrammed location in Illinois. But when bus travel company Busbud totaled up every state's most popular place on Instagram, it was Wrigley Field that came out on top. As explained by Vox, Busbud determined each state's most popular location by totaling up the data in both geolocation tag and hashtags. Overall, they found that the most popular locations were mostly outside, with a preference for parks and geographic locations and with historic sites, landmarks and points of interest not far behind. As the second-oldest active major league ballpark in the country, the oldest National League park and a major tourist attraction (not to mention its location near the iconic lakeshore), Wrigley Field ticks more than one box on Busbud's list. And as Cubs fever sweeps Chicago on the heels of the team's first postseason appearance since 2008, it's no wonder the beloved North Side ballpark is so popular. 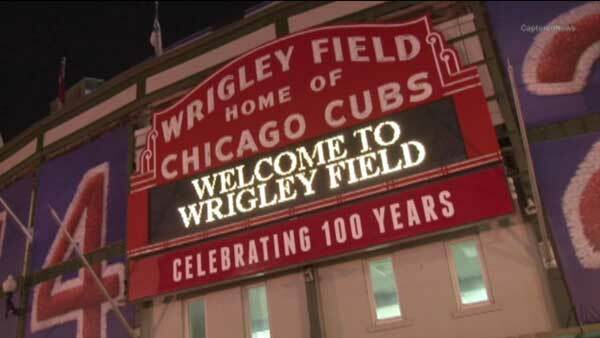 On Monday, the Cubs left Chicago for Pittsburgh to play the Pirates in the National League wildcard game. Cubs fans have been scooping up tickets on resale sites and many are planning to travel for the team's first postseason game in seven years. "If there was a big Pittsburgh contingency those tickets wouldn't be there," said Steve Buzil of Sit Close Tickets. "So that tells us that their side is weak. Our side is strong. There is going to be a sea of blue coming down there. I've got a lot of calls, a lot of tickets." Perhaps so many available tickets shouldn't be surprising - the most popular location Instagrammed in Pennsylvania is the Pittsburgh Zoo.